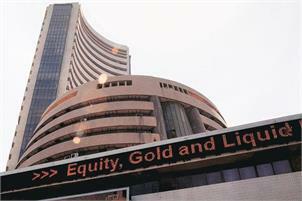 Mumbai, The BSE benchmark Sensex dropped over 100 points in early trade Tuesday amid mixed cues from other Asian markets, rising crude prices, weak rupee and heavy selling by domestic institutional investors. Market is also in wait-and-watch mode ahead of the outcome of the Reserve Bank of India’s fifth bimonthly monetary policy meeting for 2018-19. Elsewhere in Asia, Hong Kong’s Hang Seng was down 0.26 per cent, Japan’s Nikkei fell 0.97 per cent and Shanghai Composite Index edged higher by 0.04 per cent in early trade.